They are big and goofy looking, hairy and hungry and recently had cops chasing after them. What am I referring to? Well, llamas. However, they may serve human beings with HIV one day. It turns out that llamas are immune to HIV. 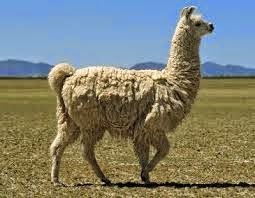 A team of researchers from the University College in London, Harvard Medical School and Argentina's Center of Animal Virology found that llamas develop a specific antibody when exposed to HIV that neutralizes bout 95% of the virus. The research is explained more in detail in the paper entitled, "Molecular Evolution of Broadly Neutralizing Llama Antibodies to the CD4-Binding Site of HIV-1." Unlike antibodies created in the human immune system when the body comes in contact with HIV and which fail to stop the virus despite evolving to do so, the antibody created by the llama's immune system does. 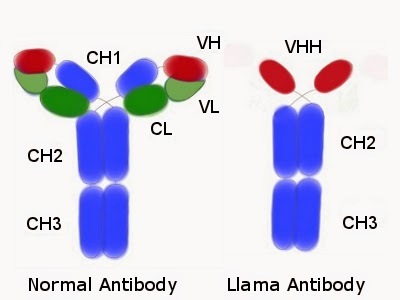 The llama's immune system makes an antibody (VHH) that has a shorter single chain or proteins which attack the HIV virus more effectively and directly. Human protein chains are both long and short and disperse when attacking viruses. This technique is not effective when attacking HIV. Hopefully with this research, scientists may be able to figure out how to replicate these antibodies in the human organism so that it too can attack HIV more effectively and neutralize it.